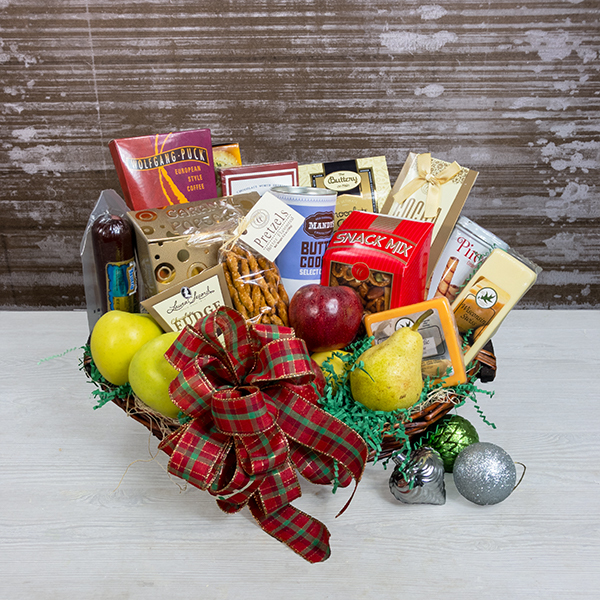 The classic gourmet basket for any occasion - whether it's for that office mate who's a foodie or for that uncle that's hard to find a present for. This basket would satisfy any taste bud. Filled with assorted fruits to chocolate to caramel popcorn – indulge them with this tasty gift.